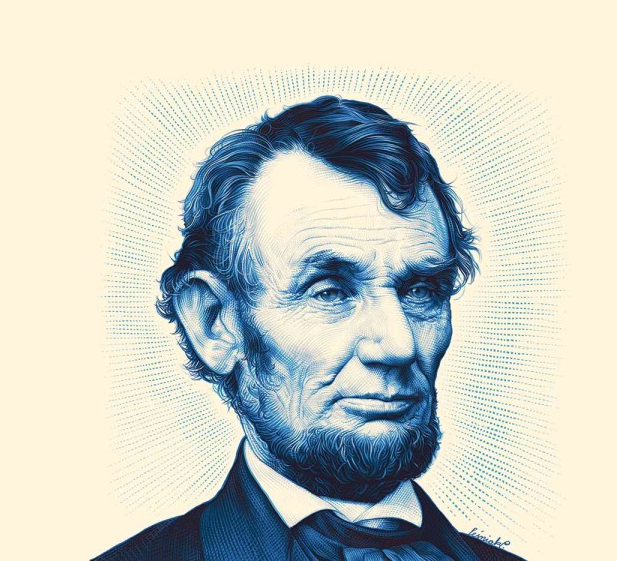 Today I received an article from Harvard Business School in their regular newsletter, titled "Lincoln and the Art of Transformative Leadership". This reminded me of some story I had some years ago, not sure how long, but maybe 8 - 10 years back. Some morning, I woke up pondering about a simple and strange dream. A letter envelope, apparently addressed to me, and bearing the sender name "Abraham Lincoln". That's it, that's all in there. I know the name, it sounds familiar, but I didn't recall who was that. Maybe some physician or scientist I read his name in text books, but I wasn't sure. Whether you believe it or not, but I believe some dreams are true messages, and at least out of curiosity, I wanted to know who is Abraham Lincoln to receive a letter from. I started searching the web, opened a page on wikipedia, and kept deciphering English text that's from a different era of English, that I'm sure even native speakers wouldn't grasp easily, reading about detailed historical wars in the old American history that even country citizens may not be aware of. It wasn't so amusing, but I had strong enough curiosity to keep doing that for almost 2 hours, and started to think that what I'm doing right now is nothing but wasteful thing. However, what I was able to conclude from Lincoln's biography brought insightful lessons, he definitely was a great visionary leader, faced turbulence and disturbance among his men, and led a divided country to a united one. There were some leadership, persistence, and patience lessons. I did learn something, but after these many years I'm still not sure if I got the message correctly or not, but surely there was some good message in there. Posted on Aug. 22, 2018 by 'Rania Al-Maghraby' in 'Comments and Opinions'. Viewed 361 times. 0 comments. Check Related Posts.